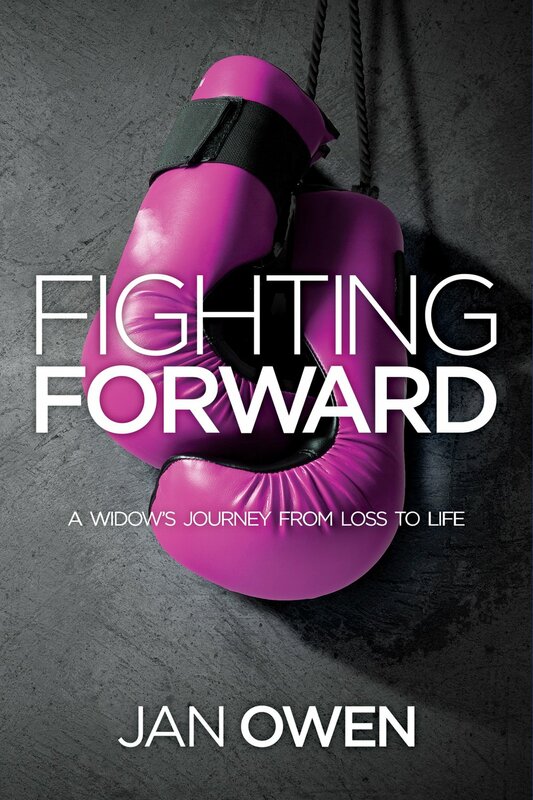 Over the course of time since becoming a widow, I have read over fifty books written by Christian widows and a few widowers. Grief Light by Julie Yarbrough is one of the top three best books that I can recommend to other widows. This author has experienced firsthand the loss of a husband, a father, and a mother in less than a decade. 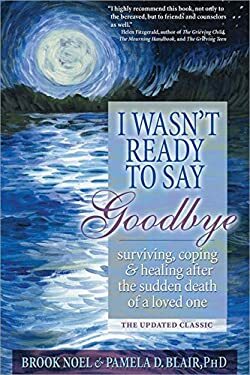 She knows the pain of anticipatory grief and the all-consuming responsibility as well as exhaustion that a caregiver experiences. Grief Light allows the reader to emotionally walk through that time with her as she processes every facet of grief. Julie is very candid and frank about her responses to all of the emotions that she feels. She does not tiptoe around the issues and allows herself to share the effects of grief and even the thoughts she has about things that people say to her. Holding herself up to the standard of “Super Christian/Super Widow” is something that Julie does not do. Nor does she wear a mask. I found her raw honesty to be very refreshing. There are many different kinds of grief that Julie talks about that such as scrappy grief, collective grief, empty grief and delayed grief. Most of these were types of grief that I had not heard of or read about. Because Julie had wonderful relationships with her husband and her father, but did not have a good relationship with her mother, she experienced different kinds of grief and is thus qualified to talk about them. I was especially moved by the comparison of grief to a slow-moving train that the author gave and feel it is important to share a bit of that here with you because it is so easy to picture it in your mind. “…I thought about how grief moves through our lives, much like a slow-moving train. It’s not at all difficult to name the freight cars of our grief–fear, worry, despair, anxiety, loneliness. But if we look at what’s under the train, guiding its path, directing the way, we see tracks–simple yet ingenious in their design and purpose. The tracks are a little like our life. We name the two heavy rails of our spiritual support–trust and faith. Upon the rails of our life are evenly spaced ties of love, joy, peace, patience, kindness, generosity, faithfulness, gentleness, and self-control (Galatians 5:22 NRSV). The ties distribute the weight of our grief so that we’re able to bear the load of our life without the one we love. The train’s track system is embedded in ballast–small pieces of broken rock packed together and leveled to keep the rails and ties in place. Ballast gives the track a stable base. 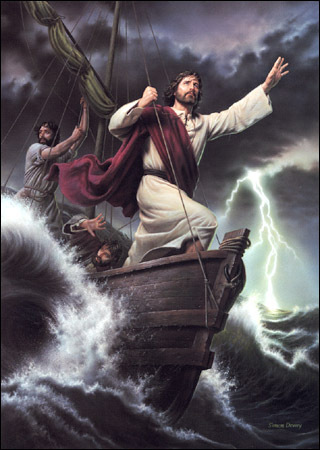 The ballast and bedrock of our grief are the steadfast love and faithfulness of God…. (Psalm 36:5 NIV). The rails of a train track are set at a fixed distance apart. The gauge corresponds precisely to the wheel specifications of the train. The train can’t run without the tracks, the tracks have no use except for the train. The tracks lead somewhere–there’s a destination…. Julie also shares that one of the most difficult challenges of grief is waiting–“waiting on God, waiting on life to unfold, waiting to feel better, waiting to be better…….When we grieve, somewhere deep within we long to soar again. It’s what pushes us to struggle with what’s happened and find within our soul God’s power lifting us up to new heights of life and love and faith. Grief Light is one of those books that is important to read whether you are a new widow or a widow who is years into her journey. No more than three pages are written on each topic that Julie discusses making it one of those books that is easy to read and to absorb. As I read this book, I found a better understanding of my grief and had one of those “God lightbulb” moments that answered one of the questions that I’ve been asking God for the last six years. Julie was kind enough to send me an extra copy of this book to give away. The first person that lets me know via a comment below in this blog post that she would like to read this book, I will be very happy to get a copy of it to you in the mail. We have always recognized that grief—the despair and shock you feel now—is one of the most excruciating pains a person can endure. We also know that it is a natural pain, and that the healing power lies within the wound itself. One of the wonders of our minds and bodies is that while scars may remain, most wounds do heal. Grief helps relieve the part of the pain that can be relieved, and helps us endure the part that must be endured. At first you feel that you cannot meet the tasks of even the next few hours. You dread tomorrow and next week. Such fear is natural. But if we find our way through today, tomorrow will be able to care for itself. And somehow, as difficult as it may seem now, the power of life will enable you, as it has helped others, to face death and yet to grow to value life more. You can increase your strength. You can increase the strength of those who share your loss. Members of the family—your family—will differ in their reaction to grief. This we expect, since no two of us are alike. If one has always met life’s problems with strength and assurance, it is reasonable to assume that he/she will meet this experience the same way. One who has been easily distressed by circumstances may be so disturbed by the encounter with death that he/she will need guidance and special help. When we lose forever someone whose life was lovingly and thoroughly enmeshed with ours, we are engulfed by something far deeper than daily, normal disappointments or frustrations. We suffer the loss of love, of emotionally security, of a life-sustaining presence. The pattern of our days is shattered beyond recall. One doctor said that grief manifests itself in a state of emotional shock. The person is confused, slow to act, and unable to function in his usual manner. The second physician said that grief causes an anxiety state. The stability of the person’s life has been disrupted, and he is overcome by a gnawing fear that he seems unable to control. The third physician said that the person in mourning suffers such deep depression that the life processes are retarded, and that he therefore cannot think or act clearly. The physician points out that it is a temporary state and usually does not need special treatment. The grief you feel may resemble a state of shock, acute anxiety, or deep depressions, but it may actually be none of these. Whatever form it may take, it is an emotional state induced by special circumstances and it has to be dealt with in a special way. You may be worried by the waves of intense distress you feel. You may even fear that you will “lose your mind.” On the other hand, the death of a beloved person leaves some people absolutely drained of emotion—they wonder why they do not seem to “feel a thing.” They worry about this; they think they are “strange.” Others react with hysteria. Remember, there are times when it is perfectly normal to act in ways that are not normal for you. When a man or woman in full vigor is stricken, we cannot accept it as natural or well-ordered. We search for answer when we are forced to face tragic or untimely death. Our reason demands some sort of explanation. It is an impossible task; there are no easy answers, no satisfactory ones. The only answer that could truly satisfy us would be the return of our beloved one, and that we know cannot happen. Our grief is made more poignant by our lack of understanding; it is made sharper by the fact that it was unexpected; it seems more cruel, because when death is sudden or untimely it always finds us in the midst of plans and hopes and dreams that must not be forever unfulfilled. With such sorrow, we cannot expect to function normally. You may be unable to eat or sleep. Every task seems too great to tackle. The person who is usually anxious and depressed will be chained by inertia. The energetic person may keep frantically busy, consciously or unconsciously hustling and bustling in an attempt to escape the full impact of his/her loss. You may feel irritable and “fly off the handle,” and then be upset about it. You may want to talk incessantly, or you may want only to be left alone and in quiet. Fearing all loss of control, you may keep yourself under impossibly rigid control. All these feelings are natural. But when the expression of your feelings is delayed, it may become more difficult and damaging. A study of ulcerative colitis revealed that most of the persons examined had suffered acute grief several months before. Other diseases have also been traced to grief that had turned itself inward, that had not been expressed. When you are stricken by grief, you are suffering a disease of the emotions caused by facing the reality of death. Slowly, heavily, painfully you learn to let the past go and to turn your mind toward the future. It may at first seem to be a bleak, impoverished future. But it is something you have to bring yourself to accept. Grief that is not understood, that is forced under the surface, that is not met with compassion, can then show up in disordered behavior, unpleasant physical symptoms, and a disorganized emotional state that my persist for a long time. Grief that expresses itself naturally, and sorrow that is not suppressed or made into a way of life, allow us to emerge gradually and go on about the important tasks of life—changed, to be sure, but not basically different from the person we were. Why do we grieve? First of all, we grieve for ourselves. If we stop to think clearly and logically—and now, how difficult that may be!—we realize that the person who has died is beyond the problems and feelings of those who mourn his death. So our sorrow is for ourselves. We are sad because we are suddenly, painfully deprived. We ache because we are separated from someone we love and need. We feel this even when we know that death was a release from torment. We feel it even when we admit to ourselves that we would not wish the suffering one back. Second, there is fear. Our world has changed suddenly, and we do not know what is ahead. That’s one fear, and others may stem from the circumstances of this death. Yet perhaps even more frightening are the childhood fears that are sometimes suddenly and terrifyingly awakened. Often adults, without realizing that they are doing it, instill fear of death in a child, making it a dark, horror-filled mystery. “If I should die before I wake….” has caused more panic in young minds than most well-meaning parents realize. This fear of the unrevealed future, and the realization that someday each of us must pass into it, does not show on the surface as we grow up. We avoid thinking about it. Then suddenly it is something that happens to someone near and dear to us – and we cannot escape it any longer. The fear that has stayed in the background all these years suddenly comes to the surface and causes panic. And third, there is insecurity. Insecurity means that the sold earth under your feet is crumbling, and you have nothing to hold on to. This feeling, also, may go back to childhood. The dependable grown-ups upon whose stability our small worlds rested “went to pieces” when death occurred. They cried. They said and did unpredictable things. Our feeling of being secure in their care was shattered; and that insecurity, like fear, grew up with us. So now when death takes a loved one from us, our world totters. The future threatens us. Take time now to ask yourself why you are grieving. Reason tells you that you need not fear death. Reason tells you that death if part of the natural order and will not shatter your world. Reason tells you that the loved one is beyond pain and that you are grieving primarily for yourself. You may not understand this at once. But think of it again and again. Eventually you will feel the healing process begin. But first you must experience the pain of realization. This is taken from a book called Riches Stored in Secret Places written by Verdell Davis seven years after her husband died. The need to love and be loved, the need for companionship, the need for a feeling of connecting with someone is a daily part of our existence. When these things are missing from our lives over a long period of time, the resulting loneliness often seems to threaten our sanity. It becomes an ache that feels very much like physical pain, and it goes on day after day after day. Then we will do almost anything to escape it, just for a little while, even when we know it will come back when the pleasure produced by our escape passes. There is nothing wrong with an occasional soothing balm for the open wound; the danger is in those means of escape that lead us further from ourselves and further from the healing graces that only God can give — and that only in time. Some escapes in themselves are destructive, and others are self-defeating. How do I keep from being engulfed by the emptiness that often cries out for anyone to please give me a hug? How do I turn my endless nights into occasions for magic moments to happen in my soul? How do I take the silence of my house and let it become a “garden of solitude”? How do I come to see loneliness as a gift I can unwrap and find therein treasures I might never have if I only curse the darkness? How do I keep from running so fast and so hard that I can’t feel the loneliness and thus miss the blessing? I tried busyness. I have tried reading voraciously. I have been accused of being permanently attached to my telephone. I have spent hours at a time writing in my journal. I have begged God to send relief. I have bribed family and friends by cooking for them or by treating them to some entertainment. Although some of these have become self-defeating and some have led to pure fatigue, gratefully, I was able to stop short of searching for escape in more destructive ways. The real danger for me was in giving in to loneliness as a way of life and dying inwardly long before I died physically. Well, He didn’t take it away–He sent me into what I call the laboratory of loneliness. Instead of getting easier right away, the loneliness became vicious. Like the pain of grief, there was no way around it. I had to go through it. I found inside of me one last door that, in all of my dealing with the issues of my life, I had avoided opening. It was labeled SINGLE, and when I opened it, I found all the things I was sure I couldn’t handle. This room frightened me so much I had put a padlock on it, built a moat around it, and stocked the moat with alligators. But alligators don’t scare God. So, in His severe mercy, He led me through the treacherous moat and into that room. Having married young, living alone was something I had never had to deal with. Neither was singleness. I found myself a very reluctant middle-aged adolescent. I was a fairly young widow but definitely an older single living in a world of married couples. I didn’t know where I fit in. I was frightened of my vulnerability, but more frightened to ignore it. There didn’t seem to be a map for the maze I found myself in. So I had to stumble through, not knowing what lay ahead. I asked myself questions I couldn’t answer. Did I really want to put myself in a position to lose again and hurt as badly as I have these last few years? Will keeping the door on that part of my life closed protect me? Or will keeping the door closed eventually make me cold and distant? Will opening up to new possibilities with all the uncertainties inherent in new relationships make me more fun for even my kids and my friends to be around, just because I am not being so protective of my feelings? Will the loneliness ever go away? I knew the cure for my loneliness was not finding another person to spend my life with but in coming to a comfortableness with all that makes me who I am. So I lived the questions. For a very long time, it seemed. As I struggled long and hard with all the emotions that accompany aloneness, I sometimes felt that God had abandoned me. One time I took a walk in anger and asked Him if He really knew what He was doing. I was angry because I needed that tiny touch of human companionship I had been waiting for, and then was deprived of through something I felt God could have intervened in had He so chosen. I wrestled at yet another level with God’s promises, with His love and His wisdom, with His sovereignty and our free will, with His doing what is best for us when we see it differently and plead with Him to do it our way. What I was actually wrestling with was whether I was going to trust Him with this part of my life too. I came to see that God was right all along. An intriguing allegory began forming in my thinking. There was inside of me a room that for too many years had held something akin to a caged animal. As the animal became more and more aware of its hunger, it began to pace furiously, looking for a way out of the cage. Even though with the longing for freedom came a fear of what might be out there, the hunger kept the animal from simply lying down and accepting the cage as home. Then one day the Trainer who knew all about the animal allowed the door to the cage to be opened. The surprised animal burst through the door only to find itself in a larger pen with very little food, and the only opening being guarded by the Trainer himself. The angry animal began to run wildly around the pen growling insults and accusations, and occasionally lunging toward the opening in the hopes that the Trainer would relent and let it out into the spaced beyond. Yet, each time, the Trainer stood firmly in the way, never giving explanation why the animal must stay thus contained. After some time the exhausted animal began to slow its pace and look more carefully at the food that had been provided, at the realities of true freedom, and at the possible motives of the Trainer for standing in the gap. Soon the Trainer began to quietly speak. The animal had to be very, very still to hear the words that would bring a sense of peace to its tired and troubled spirit. “You may have thought you were, but you were not ready for freedom. Your hunger was too great. You had become so accustomed to the caged way of thinking and relating that immediate freedom would have destroyed you. You needed some time in a larger arena, but an arena with safeguards. Oh, I knew the fences would make you angry. And I knew you would blame me for teasing you with a little food and a little freedom, and for standing between you and what you thought you wanted. But I know you better than you know yourself. It had to be this way. You had to be fed slowly so you would later know how much is good for you and how much would be harmful. You had to have time to get used to the new inner compulsions, so you could control them rather than them controlling you. You needed me to protect you, not from the one whom I allowed to open the door to your cage, but from yourself. You were too vulnerable to the forces at work inside of you. I understood your anger when you yelled at me, and I felt your tears when you cried them. I, too, suffered when I was tempted, and because I was tempted, I am able to help those being tempted. So you see, I stand in the gap as long as it takes for you to become acquainted with the intensity of your passions so long denied. I will let you out into full freedom only when those passions are your servant and are no longer in danger of being your taskmaster. When that the Trainer stepped aside. The animal felt rather than saw that the boundaries had been removed. It need look no further–for its freedom was within. And so in loneliness I again saw a wise and loving God at work. He has a purpose in all that He does, in the pains He allows as surely as the blessings He bestows.. He would teach us, as oft as we need it, that our sufficiency is in Him.